The X7 is a cross-county link from Leicester in the North, through Northampton to Milton Keynes in the South. It runs every hour each daytime and is operated by Stagecoach. Click here to discover more amazing bus routes in the Midlands and here for more great bus routes in the East. So what's in Oadby then? This map only shows Stagecoach routes. 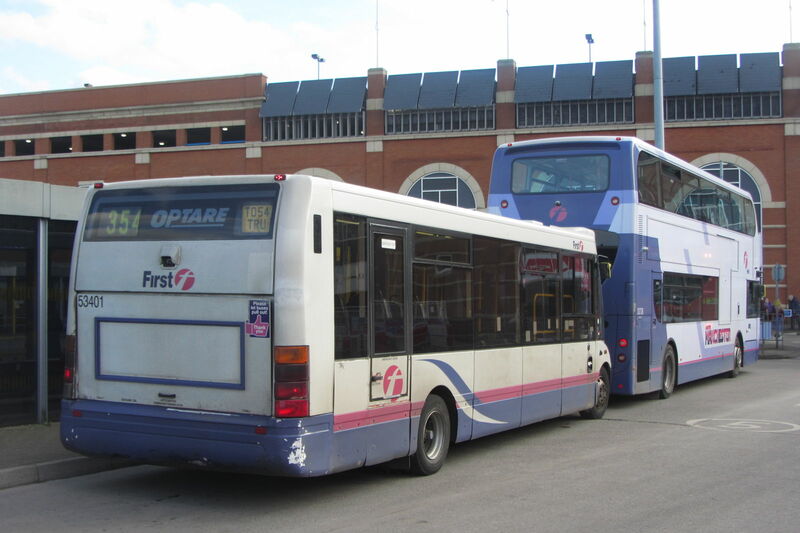 For a map of all bus routes in Northamptonshire, click here. Buses to Leicester use bay 3 at the new North Gate Bus Station. The cheapest day ticket that is valid end-to-end on the X7 is the Stagecoach Dayrider Gold at £11.30. The Northampton Buzz Card at £4.30 for a day is valid on the buses of all operators in Northampton. On the X7 it's valid between Boughton Turn and Grange Park Lake (same as the Northampton Plusbus below). The Leicester Flexi Day can be used on the X7 between Leicester and Oadby. It costs £5 and is also valid on the buses of all operators within Greater Leicester.